The tape recorder gives musicians the ability to record sounds and use them as they wish. Computers and analogue synthesizers brought with them a new kind of musical revolution for composers and musiciens: the ability to compose thier own sonic material. in 1942, John Cage wrote : 'Many musicians dream of compact technological boxes out of which would come any audible sound they fancy'. Around 1956, Lejaren A. Hiller and Leonard M. Isaacson presented the first music composed with the help of a computer: Illac Suite for string quartet, realized at the studio of the Universtity of Illinois's Computer Research Center. These first substantial attempts at computer-automated composition are done of the Illiac I computer (IBM 7094). But, the development of computer-assisted music also had another motivation: sound production. In that field, the pioneer in computer sound synthesis (or digital synthesis) is the musician and electronic engineer Max V. Mathews. 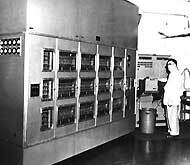 The first computer-generated sound was heard in 1957, in Bell AT&T's Acoustics & Psychology Labs at Murray Hill (New Jersey), thanks to the sound generation software Music I, which ran on an IBM 7040. This mutation was made possible with the help of Henk McDonald, John R. Pierce aud Newman Guttman. On May 17, 1957 Guttman, a psychologist, premiered in The Silver Scale, the very first computer music work, 15 seconds long. Three years later, the first record of computer-generated was released: Music from Mathematics, by J.R. Pierce and Max Mathews. This record contained, among other works, the first computer song: Bicycle Built for Two, which became famous in Stanley Kubrick's classic film 2001: A Space Odyssey, as the computer Hal 9000's swan song. Afterwards, several composers worked with these first pieces of software, including John Cage, Iannis Xenakis, John Chowning and Morton Subotnick. 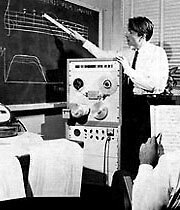 In 1968, Bell Telephone laboratories released Music V (Mathews, Moore, Risset, Miller), a synthesis software written in Fortran (FORmula TRANslator) and organized into a modular structure of sound generators. Music V can still be found at the core of several sound synthesis programs. The Groove (Generated Real-time Output Operations on Voltage-controlled Equipement) System developed in 1967 by Max Mathews and Richard Moore was the first real-time computer-automated composition system. It was extensively used by Laurie Spiegel in Appalachian Grove (1974) and Emmanuel Ghent in Phosphones (1971), and later by Pierre Boulez and Gerard Schwartz.. Ever since they started working at Bell Laboratories, John Pierce and Max Mathews were eager to work with musicians. The thinker and composer James Tenney (b. 1934) created several music pieces from 1961 to 1964, thus taking part to the development of several music composition programs. His first piece, the 1961 Analog #1(Noise Study), was inspired by the aleatory noises heard in Route 22 and in the Holland Tunnel between Manhattan ant New Jersey. For Dialogues (1963), Tenney used various stochastic techniques to determine how to organize the sounds. Differents types of sounds are statistically combined, their textures changing constantly, as if the works consisted of numerous sounds in a wide range of shapes ans colours. In 1963, Mathews published a paper on computer music: 'The Digital Computers as a Musical Instrument'. It influenced a whole generation of musicians. Jean-claude Risset was a Physics student in France, at the time. He decided to write his thesis on Mas Mathews's research. He went to the Bell Laboratories in 1964 to start working on timbre, and wrote Little Boy (1966) and Mutations I (1969). Risset's 'sound' is characterized by the physical illusion it generates - a feeling of going up or down! The IRCAM opened in Paris in 1974 and Risset was appointed head of the Computer Music Department. The IRCAM (Institut de Recherche et Coord ination Acoustique Musique) is a research centre for composers, where sound synthesis, spatialization and notation programs are developed. This centre still exists; it also offers courses in sound perception and acoustics..
John Chowning also decided to study computer science after reading Mas Mathews' paper. In 1967, he invented FM (frequency modulation) - based sound synthesis, a new sound generation technique allowing timbral transformations. 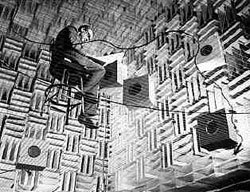 Later with David Poole, he put together in Stanford a laboratory that would became the CCRMA (Center for Computer Research in Music and Acoustics) in 1975. His approach and his discovery of FM synthesis served as the basis in the development of most of Yamaha's synthesizers in the 80's, including the famous DX7. Chowning's first compositions were Sabelithe (1971) and Turenas (1972), both offering the feeling of sound moving through space, and Stria (1977), a solo tape composition. 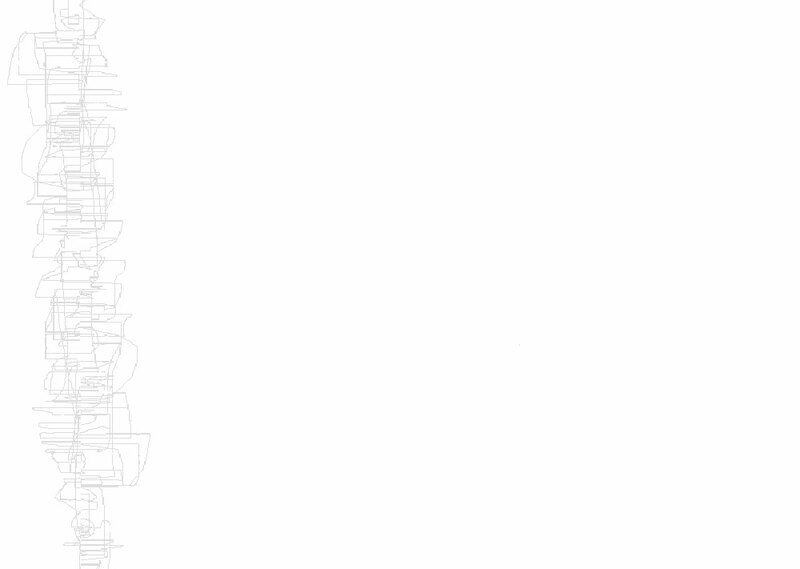 These pieces sound utterly strange, ice-cold and eons away from any sound an acoustic instrument could produce. 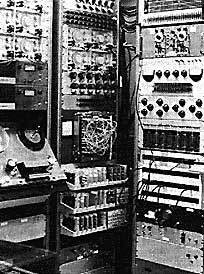 In the 60's Max V. Mathews, James Tenney, Jean-claude Risset and John Chowning were among the first composers to use computers. They were joined over the next two decades by Charles Dodge, Hubert Howe, Jim Randall, Geoffrey Winham, Paul Lansky, Jonathan Harvey, Trevor Wishart, Barry Vercoe, Larry Austin, François Bayle, Dexter Morrill, James Dashow, Iannis Xenakis, William Albright, Bill Schottstaedt, Dennis Smalley and many more. These pioneers had to work harderback then the musicians of today; a perfect understanding of computer systems and programming was essential. It could take days between composing new material and being able to listen to the results. Nowadays, the effect follows the cause almost instantaneously. In the early times of digital synthesis, Mathews explained: 'It takes twenty minutes of computer time for each second sound. It was to be a remarkable second to make the effort wortwile'.